I have a PR for Australia and referred to jobsog for job assistance, Till now i have received descent responses from recruiters and finally waiting for my final round of Interview which had been scheduled very recently, Hope I would crack the final skype round and Secure a job in Australia. I am happy to announce even my friends are in process of getting Australia PR once they get there visa's, Will definitely suggest to take your Job Assistance services. I would like to thank you for the services you provided us for Canada Job Assistance. We want you to know that we are very pleased with the quality of service you and your firm Jobsog, provided for Canada Job Assistance. I have found jobsog through internet and when i have contacted them for my abroad job assistance they responded very well and helped me for the same. Happy with your services! Received job offerr from Germany All my thanks to my case officer excellent team. Decent Services by Jobsog so far, till date jobsog managed to get some responses from Canadian Recruiters. Thank you jobosg! I am really impressed with the services of JobSog for my Canada job search process. Jobsog team is well trained and they had Marketed my profile very well even my Resume was prepared in international standards. I had come to know about this consultancy through one of my friend, she had opted for jobsog services long ago hence her review was positive on jobsog productivity so i have taken initiative to take services of jobsog, So far the services I received was descent. I am very comfort and blissful the way you all organizing/taking care of my process. Thanks to you and your team. Take care !!! Have a good day!!! It’s always nice talking to you and I am very impressed by your way of talking and handling the things. I have enrolled myself because I trust u and I don’t know why but I do. All the very best for your future and May God always n always bestow His kind blessings on u be happy and blessed always. 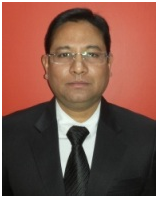 I have been planning to move abroad with a good job offer, couldn’t have asked for better services (THANK YOU JOBSOG) your professional support was always a plus in shaping up my career, I acquired suitable information to have basic knowledge on the circumstances after and before getting a job abroad, quality is all that I felt with JOBSOG. Great support, it was value for money taking your services making betterments to improve the appeal of my resume making it more professional to the employers out their applying to more than 200 postings gives me a wide range of opportunity to reach the employers and clarifying and explaining every doubt. Good work JOBSOG thank you. I am extremely pleased with the work done by JOBSOG I feel I have opted the best services I can for my career growth, good approach and guidance from the team. I am leaving to Singapore with my job offer letter it would not be possible with JOBSOG thank you. JOBSOG helped me to build my career step by step, gave me an analysis of the job market regarding my profile and showed me the path to success and also guided me with enough knowledge and suggested me the best job openings in my preferred country. This service is fantastic and eliminated all the hassle that I felt in the beginning… thank you JOBSOG. JOBSOG has a unique style of handling their clients, very professional approach felt comfortable with the generosity and maintaining the level of quality that makes me open to all my queries and doubts about my career plans, looking forward for the services so far so good and also I begin to feel much confident than before, expecting for the best results from JOBSOG. Hi, just wanted to share my experience with JOBSOG you people very well planned and executed my profile for all the companies out there in Canada. Initially expectations were pretty low but some partial interviews boosted me up which made me keep trying till the success as the saying says “patience is bitter, but its fruit is sweet”. Hi all thank you so much for your assistance in my career success, didn’t expect to get this responses from the recruiters I feel excited about the no. of responses I am getting, I feel much more confidence than before definitely waiting for the offer letter and with these many responses it is adding more weight to my hope thank you JOBSOG appreciate your work. Fully convinced with the services offered for my job, am making a move this week with a job offer letter appreciate your work Jobsog for the professional assistance for my career advancement along with the patience I had, for this much awaited job I was not expecting till the last moment that I’ll get but by god’s grace am going with a hope thank you Jobsog group for your guidance. Felt satisfied with the work of JOBSOG team for initiating and developing my amateur resume to a professional resume and applied to numerous no. of jobs out their which are suitable for my profile. I would like to recommend this assistance to everyone interested in overseas job abroad. You people did an outstanding job, guiding me with the perfect career opportunities for my projected resume suggesting me to choose from the finest jobs in my desired country. Thank you JobSog for the service. I am so thank full to JOSOG that the way they guided me in my career and supported me in developing my resume professionally and very swiftly applied for all the related jobs for me .I appreciate the work by the executives . JOBSOG is one of the best approaches I have made to develop my career. Hi JobSog am a Daily visitor of your site its very use full, and my favorite thing about jobsog is "it gives access to the latest information" and advices regarding employment around the world. It really directs my thoughts to discuss with my colleague’s. I Am Very thankful to JOBSOG for how accessible and helpfully they supported me in getting the interview calls from international recruiters I really dreamt off. It wouldn’t have been possible without JOBSOG. Thank you am very much satisfied with your guidance and support. Thank you JOBSOG for giving me an opportunity to experience this beautiful job and giving full support. I wouldn’t be able to achieve without you people .It was wonderful experience interacting with you guys…I would recommend to my friends. This letter is to Appreciate jobsog team. I am happy with jobsog services.I have got 2-3 responses with-in a time frame of less than 15 days. I hope to get this support further. i am very impressed with your service, Thanks for your support and interest on my profile through out my contract with jobsog. i am happy with your services by reaching my expectations and getting good responses from international recruiters "Thank you jobsog"
Thanks for you support through out my process and your smart work on my profile made easy to get job offer from xxxxxxxxxxxx, very soon going to fly germany. This is for your update that I got job offer from xxxxxxxxxxx, Cologne, Germany as salary package 55000 EURO per year as the Sr. Developer(.NET). Thank you very much for your efforts to finding me job in Germany. Your services were the best I have received. Thanks for making my resume in international standards; I will refer your services to my friends and colleagues. "I am very happy to receive Interview responses from Austria recruiters. This credit all goes to jobsog team for working on my profile and making my resume visible to maximum recruiters. My personal thanks to my Case Officer, for giving excellent assistance. Jobsog team is comprised of professional manpower who consistently deliver high quality services according to our job requirements. Jobsog is an ambitious and proactive abroad recruitment agency with complete insights into the present job market. Vamshi has been handling my profile so nicely and he has been maintaining my inbox diligently. I am very much happy with my case officer Vamshi's work. Vamshi Keep up good work. I am really happy with positive feedback and interview calls from the employers. That way your and my efforts paid off. Hats off to your work. Throughout my application and recruitment process Jobsog Team was very helpful and prompt at all times. I am feeling very happy with jobsog services, my process consultant has done excellent service, i came to know jobsog consultancy from friend's reference "it is excellent". Feeling happy with jobsog services!! after accepting my International CL and CV which was prepared by jobsog resume optimization team, i have started getting interview calls from Overseas recruiters. I really like the presentation of my CV which can easily catch recruiter eye, I thank jobsog which made my CV stand out of many . I really liked the Professional approach of Jobsog and my case officer done a good job on my profile. I was initially hesitant to join Jobsog but still I went ahead and later found to be in a right place from which I could fulfill my dreams. I am glad to say that resume optimization played a vital role in getting very good responses from recruiters, I thank Jobsog team for such an excellent resume writing services. Thanks for the wonderful service provided to me. I am happy and you are good to go to end the service. If anything needed in future I'll contact you. Thanks for the support and felt happy for the marketing process so far done. Services provided by jobsog are Excellent, i thank Resume Optimizer and my case officer for there effort on my profile.It helped me to get .NET DEVELOPER jobs in Victoria(Australia). I am happy that I got a job in Melbourne ,Australia as a senior consultant. Great services provided by Jobsog ,I thank for your support and guidance. Thanks for such a wonderful Cover Letter & Resume. it is completely made in international level. I m very much satisfied with your services. I would like to say a BIG thank you for helping me in finding java developer job in Western Australia. I fly out to Australia in couple of days, having secured work there, which was obtained via your consultancy. Many THANKS to jobsog process team. I'm happy to get the below responses from Canadian recruiter. It was a pleasure speaking with you a few minutes ago. Here is the Matrix and Job specs for the WSIB contract we just discussed. Please fill out the attached skills matrix and return back to me along with your updated resume in word format and I will get you submitted in around 65-66hr SP. Deadline: Monday, Sept 21st @ 5 p.m.
I’m really happy with my resume and cover letter done by RO team of jobsog. Thank you so much for all your help. Today i got a job in Australia and received offer letter from UST Global . I am very much happy and pleased to congratulate you guys for the support and giving me perfect and thoughtful advice throughout. The process consultant is quite helpful and follows up very regularly to help me with my queries. I would like to mention here, i completed my technical round and i am waiting for final call. Wonderful Job by jobsog !! I got a call for in-house full-time position at Thrive Vancouver. I'm happy to relocate at Vancouver. Thanks for your concern Jobsog. Resume is a vital part in the opportunity market, I appreciate Resume optimization team of JOBSOG for building my resume in such a nice way. I hope your efforts on my resume and cover letter will bring me great success. Thanks in advance. The help given by jobsog is superb, from the first contact you showed so much interest on my Profile it made easy to get offer letter from Toshiba(Australia). Thanks for all your service. Thanks for interview calls from Recruiters of Victoria, B.C,I have to applaud for your wonderful Service and quick response. Completed all my interview rounds, now it's my turn to work in Canada. The Service you provided was above and beyond what I could have expected. Great job !!! 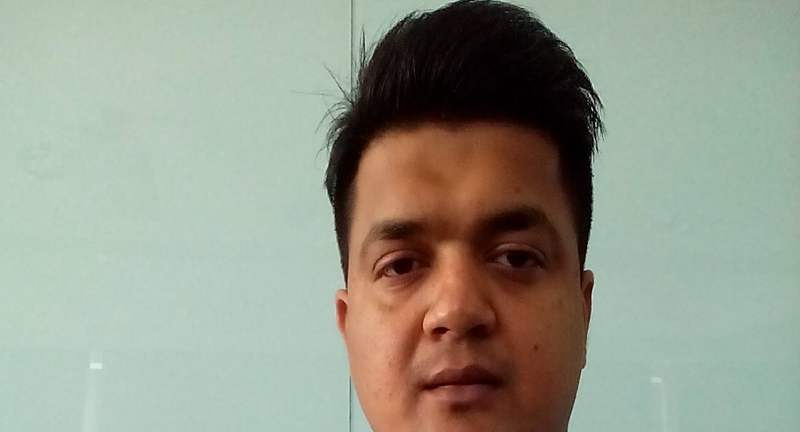 I am very happy with the jobsog Services, I thank my case officer who assisted in building my professional resume, which helped me in getting Positive Responses from Australia(Canberra) Recruiters. Getting a job in Canada(Edmonton) is not a small thing & i am happy for clearing all my interview rounds, i am excited to get first offer letter from Overseas. Thank you jobsog you made my dream come true. I am happy that i got a interview call from Canadian recruiter for nursing profession. I appreciate jobsog team for your suggestions and valuable inputs on my Profile which helped me a lot in getting interview calls from Recruiter. you have build confidence in me by giving interview calls from Recruiters. I thank Jobsog from the bottom of my heart for your great work on my Profile. I'm completely satisfied with your services, and would certainly recommend Jobsog to my friends and acquaintances who are looking for overseas jobs. The service provided by you & your team is excellent. I can appreciate for your work. I hope you continue to excel in your services with every passing day. Good. Thanks for your prompt efforts. I found your work efficiency is very good. I have checked the other account, I am getting some responses from recruiters. Earlier when i was applying i wasn’t getting any response. Hopefully I land up in some job in Melbourne before i go. Thank you for your efforts. Thank you for being in constant touch and also applying for jobs constantly on my behalf. I really appreciate your efforts. I had a glance at the resumes you have prepared and I must appreciate your effort. Good work done and thank you. I have gone through the resume and you have done a good job in optimizing it. Thanks a lot. Thank you. 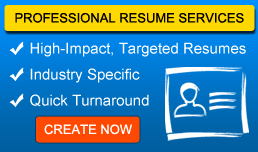 Appreciate your work for optimizing the normal resume into a professional one. I have gone through the resume and felt your professionalism in content / resume writing. It is really an impressive resume and there is tremendous change in the way the presentation is made. Neatly represented the skills and expertise, used correct wordings and sentences are arranged in an impressive way. Thanks a lot. Thank you for your service in assisting me with the job search in Australia. I am happy with your service, especially the resume made for my profile is impressive. Thank you very much for your service. Thanks for everything. I have relocated to Australia permanently from South Africa by end of August and based at Perth currently. I am working in 1 year contract role with Curtin university as Project Metallurgist, and attended interview with for the position of Metallurgist- Lead Smelter and I am in the final stage of the recruitment process, expecting the offer letter before end of next week hopefully. I am particularly happy with your support and the way you have supported me during the job search. Success criteria is a different aspect but to achieve success the required background support that Jobsog provided through its portal and your support has been equally important for me. Thank you for your service in assisting me with the job search in Australia. I am happy with your service, especially the resume made for my profile is impressive. Thank you very much for your service . I went to jobsog to get my resume written to match the international standards as I was in search of an overseas career. Initially in the start of my service there was delay in communication but later the case was well handled and now I am working with Jumbo Interactive, Brisbane Australia is a dream come true. When I was in need of a job, I approached Jobsog and got to know that there was some problem in my resume with regards to format and other punctuation. They neatly rewrote my resume. I am able to get interview calls from various companies with the new resume. JobSog is a premier resume development company that helped me in giving a clean and neat resume. I would like to place on record my deep appreciation and thanks to JOBSOG team for helping me with the placement as a Test Lead in Sydney. In particular, I would like to thank my case officer at JOBSOG, Ms. Sharanya for her support and advice throughout the process. She has been extremely resourceful and helpful in the identification, short-listing of potential opportunities and following through with a successful outcome. I would strongly recommend the consulting and placement services of JOBSOG to those who are actively seeking career and placement opportunities in Australia and elsewhere. Germany is a leading destination that allures number of overseas job seekers to enter and seek a job to work in Germany. Individuals prior to their entry to Germany need to obtain a Germany Job Seeker Visa as a permit to seek a job in Germany. The country also provides excellent offers for overseas nationals as Germany is facing skill shortages. I would like to take this opportunity to appreciate Jobsog for its valuable assistance rendered to me throughout my job search process in Malaysia. JobSog is the best pathway for youngsters to make a new headway in their career. I am very impressed in each and every aspect with JobSog and the way they have guided me throughout my job searching process. Today, I was successfully placed in one of the leading companies in Malaysia. This is all because of you and your support. Your consultants were prompt and friendly. When I have decided to search for a job in Singapore, I was searching for a good job consultancy. Then, I got to know about Jobsog. Hoping for the best I have approached Jobsog to seek assistance. Jobsog has really offered me excellent assistance throughout my job search process. The guidance and opportunities shown to me were damn good and I’m impressed by the way they have assisted me in landing in a right job. I would highly recommend Jobsog for all prospective jobseekers wishing to be employed abroad. Thank you Jobsog for your assistance rendered to me during my job search process in Singapore. Equipped with certified professionals, I really mean your advices and your referrals are great. I would like to thank you for placing me successfully. The way you have updated me with all the job openings in Singapore is really great. Thank you so much for your continuous guidance and support throughout my job search process. Thanks Ravi sir. You rewrote my resume in such a way that I am getting interview calls finally. Until I approached JobSog, I never knew about international cover letter and how an international resume should look like. After you sent me the resume, you worked on, for my approval; I had a wow expression on my face. You are really champions in the resume writing industry and worth all the praise. Thanks a lot JobSog. I am really grateful to you. When I first approached you regarding my wish to work overseas, you told me about some of the elite services you offer. I opted for resume marketing services. I was spell bound when I attended a 40-minute session wherein you explained me about resume marketing services. As you have promised, I am receiving important calls regarding international job. You are doing a marvelous job, great going! I wanted to work in overseas. Applied my resume online, however couldn’t get a single interview call. I understood that my resume should be rewritten as per international standards. As I came to know about JobSog through my sources, I sought their help. JobSog took just seven working days to prepare my international resume. Once it was prepared, JobSog team sent it across to me for my approval. After approving it, the resume went live and I am receiving response from the international recruiters. The assistance provided by JobSog in seeking a job at overseas is excellent. They assisted me in seeking a job in Australia. I am very glad and thankful to the entire JobSog team for helping me in seeking a job in Australia. Without their assistance it couldn’t be possible to get a job. I recommend everyone who seeks overseas job opportunities must approach JobSog. I am seeking for better employment opportunities abroad. By consulting the team of Jobsog I get to know more about job openings in Singapore. With their guidance and assistance finally I got job offer in Singapore. Thanks to JobSog. Hello JobSog. Please accept my best wishes for doing the needful. The overseas job interview training that I underwent after getting Germany job seeker visa has helped me a lot. Now I know how to talk to interviewers, how to present myself, how to sit and how best to handle the interviewers so that the chances of cracking the interview will be brighter. It is due to the overseas job interview training that I have taken at JobSog, I got nearly five job offers. I am really thankful to Ravi at JobSog who rewrote my resume in line with the international standards. I approached JobSog when my friend told me that it’s into resume marketing and resume writing services. As I didn’t know how to write my resume as per the standards of Canada, as I am willing to search for a job there, I went to JobSog. JobSog said the main problem I was not getting a job was because of my resume and rewrote my resume. I now started getting calls. I am glad to write about your services.Your resume marketing services are world class and your team has all the required experience&knowledge to promote one's profile.